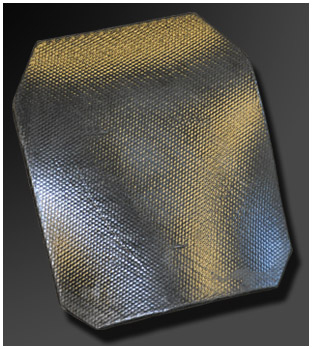 Whilst soft flexible body armour can defeat most handgun and sub-machine gun threats, the stopping of high velocity rifle rounds demands a ballistic plate. Almost obsolete steel plates have given way to ceramics and composite materials which are unlikely to cause secondary injury from fragments. 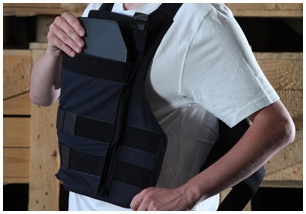 Armour Plates are placed in pockets in the soft armour carrier, normally to protect chest and back, however the customer may specify additional pockets for smaller side plates etc where the vest design permits this. For those vests which do not incorporate chest/back pockets a throw over plate carrying bib is available. For over 25 years Armourshield have supplied a range of ballistic armour upgrade plates manufactured to their specifications. These have included both the ceramic composite and polyethylene types. 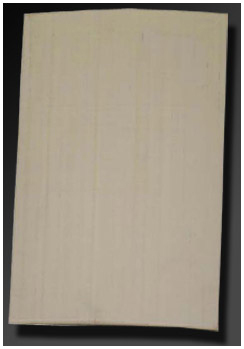 The above ceramic composite plates are certified to both NIJ Level III or IV standards and are available with black or olive drab ballistic nylon spall covers. 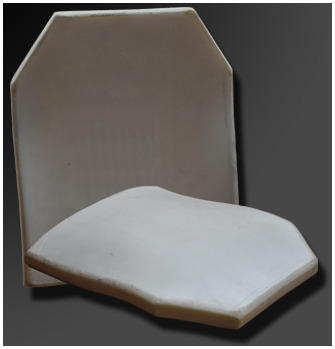 This fully curved 10" x 12" (250mm x 300mm) polyethylene upgrade plate provides NIJ Level III protection in conjunction with our Level IIIA soft armour. Typically, these weigh 1.2 - 1.6 Kg each depending on individual specification. 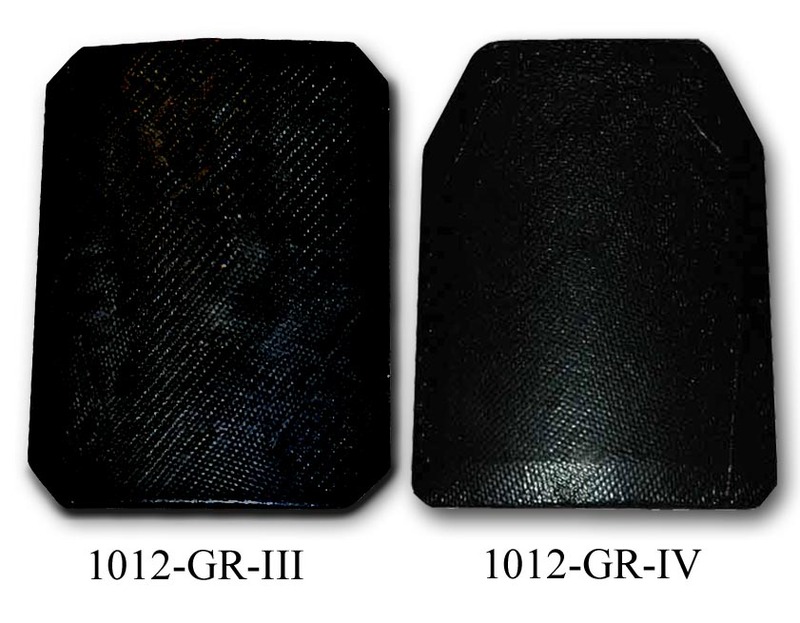 We have introduced a range of in-house produced ceramic composite plates, the "GR" series, which provide an economically priced solution to high velocity rifle threats. A range of sizes, fully NIJ certified, in conjunction with our level IIIA soft armour is available in Level III and level IV. Level IV stand alone versions are also available.  Please refer to our "Armourshield Advantage" page as the properties of our patented Blunt Trauma Shield are equally applicable when plates are used in conjunction with soft armour.